You take your line of work very seriously, and as such, you take the required safety attire seriously as well. You're required to wear flame-resistant gear, and since you don’t want to be burned or lit aflame, you have no issues wearing men's work clothing that m ... (see full details) (see specifications) #10022327. You take your line of work very seriously, and as such, you take the required safety attire seriously as well. You're required to wear flame-resistant gear, and since you don’t want to be burned or lit aflame, you have no issues wearing men's work clothing that meets the proper safety standards. This Ariat Work FR Air Lightweight Men's Navy 10022327 Long Sleeve Shirt offers the flame resistance you seek as well as a soft, lightweight design, flexibility, and more. This men's flame-resistant shirt is useful and professional, in addition to comfortable. It comes in the color navy, which is a deep blue that's easy to match with nearly anything. The Ariat FR shirt for men is made entirely of cotton, so it feels breathable, lightweight, and soft against your skin wear after wear. It features long sleeves that have ribbed cuffs at the bottom for comfort. You can also find a ribbed collar on the lightweight navy blue shirt and a chest pocket that's made with Velcro closure. The Velcro pocket is ideal for tucking away your items because you won't have to worry about them falling out if you bend down. Plus, the Velcro pocket is easier to access than a zippered pocket, so you won’t have to fumble around to get your items. 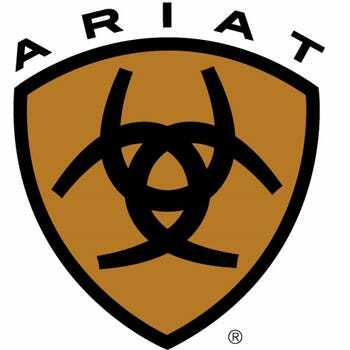 And where comfort is concerned, this men's flame-resistant workwear offers Ariat’s Greater Arm Mobility technology. It offers you an enhanced range of movement and flexibility due to specialized extended inseams in the garment that cause the garment to move with you without shifting your shirt tail and cuffs. Moreover, this men's long sleeve crew shirt is flame-resistant. It was independently tested for its ability to withstand flames in order to meet the requirements for a number of safety standards. Firstly, this Ariat FR workwear meets the requirements for The National Fire Protection Association's (NFPA) standards 70E and 2112. The requirements for the standards 70E and 2112 have to be fulfilled for those who work in industries where the potential for electric arc flash and flash fire exists. Secondly, it has an Arc Thermal Performance Value (ATPV) value of 8.7, which specifies the level of protection the flame-resistant men's shirt can provide. Thirdly, it's has a Cat 2 rating that aligns with the ATPV rating. All Cat 2 garments must have an ATPV rating higher than 8, and since this Air navy blue workwear has an ATPV value of 8.7, it qualifies for the Cat 2 requirements. For your workplace safety needs, consider this Ariat Work Flame-Resistant Air Lightweight Men's Navy 10022327 Long Sleeve Shirt. Order it here at Working Person’s Store! This Ariat FR shirt was needed in size large tall and again working person's store had the tall size. The fit is perfect and washes good no shrinkage. Color stays. I will purchase in other colors. Working person's store seems to have a variety of tall sizes in Carhartt, Ariat and many more. Also I need FR clothing. Ariat Work FR Shirts: FR Air Lightweight Men's Navy 10022327 Long Sleeve Shirt is being added to your cart.